Most people have heard the phrase, “You are what you eat.” Well, new research may indicate that students’ test scores correlate to what they eat. According to the results of an eye-opening study conducted by economists at the University of California (UC) at Berkeley, public school students who eat healthier school lunches achieve higher standardized test scores. 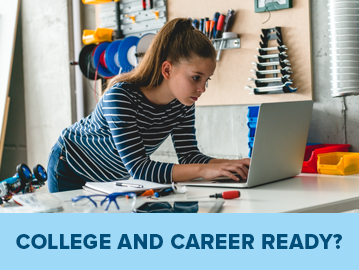 These results may come as a surprise to parents, policymakers, and educators—all groups with a vested interest in identifying ways to enhance student performance. The UC Berkeley researchers behind the study teamed up with UC’s Nutritional Policy Institute (NPI), whose mission is to evaluate the impact of physical activity and nutrition on public health. 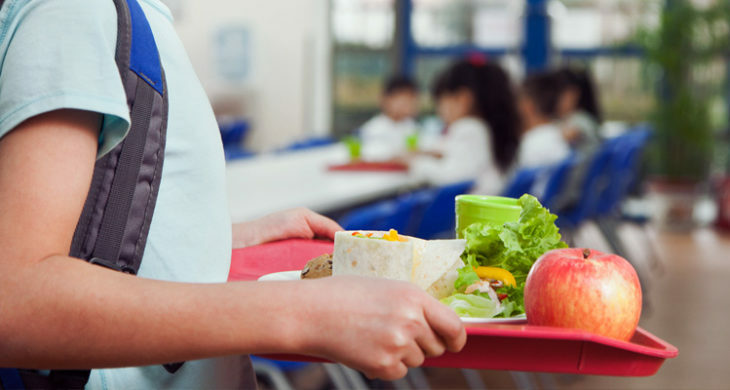 NPI researchers were asked to assign a “Healthy Eating Index” (HEI) score for meals included on public school lunch menus from California food vendors. The U.S. Department of Agriculture (USDA) uses the HEI to calculate foods’ dietary quality. Researchers identified vendors whose school lunch menus scored higher than average as “healthy-lunch” vendors. Next, researchers compared the standardized test results of students of schools served by healthy-lunch vendors with results from students in all 9,700 California public schools where the test was administered. Test-takers from schools served by healthy-lunch vendors scored .03 to .04 standard deviations higher than all test takers. 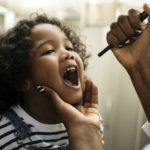 Researchers described the correlation between improved test results and healthy lunches as “notable,” especially in light of the relatively low cost to switch to a healthy-lunch vendor. 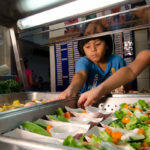 Based on data from the USDA National School Lunch Program, the annual per-student cost to switch from in-house school lunch preparation to an outside healthy-lunch vendor would be about $222. In return, taxpayers could expect student achievement to increase an average of four percentile points. 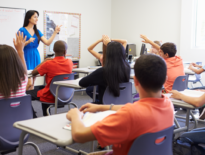 By comparison, Tennessee researchers looked at how reducing elementary school class size would affect standardized test performance. They concluded that it would cost nearly $1,400 per student, per year to reduce class size—and the benefit would be a test score increase of an average of about one percentile point. In 2010, the debate over school lunches went mainstream when Jamie Oliver’s Food Revolution aired in primetime on ABC. In the series, Oliver was granted access to a school in West Virginia, where he listened to cafeteria workers bemoan budgetary, regulatory, and time constraints, and to kids complain about what they were served each day. The goal of that series was to shed light on how unhealthy school lunches contributed to obesity, especially in lower-income schools. 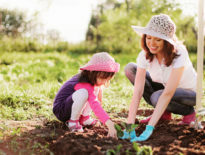 The link between eating well and physical wellbeing has long been widely accepted. The new UC Berkeley study is revolutionary because it seems to show a real correlation between eating well and succeeding academically. So, what can concerned parents do if they’re not happy with the quality of the food being dished out in their child’s lunchroom? They can be the change they wish to see! First and foremost, it’s important that parents model healthy eating for their children. Be mindful of what foods you bring home from the supermarket and what you serve for breakfast, lunch, dinner, and snacks. Another option is to bring children to the grocery store to encourage them (with plenty of guidance) to choose healthy foods for their school lunches. Healthy habits take time and perseverance. Parents who soldier on can feel confident they’re giving their child a gift that will benefit mind, body, and possibly GPA. One benefit of online learning is that students can enjoy healthy, home-cooked lunches every day. 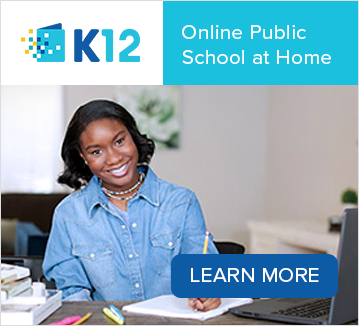 For more information on public and private school online learning options, visit K12.com and request a free information kit.